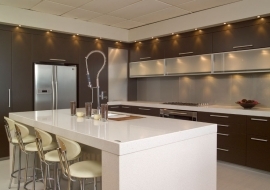 Many people like to get involved in designing their kitchen. We have provided some information that may help you. Just spending the time considering all facets helps you get a better understanding of what can be achieved. 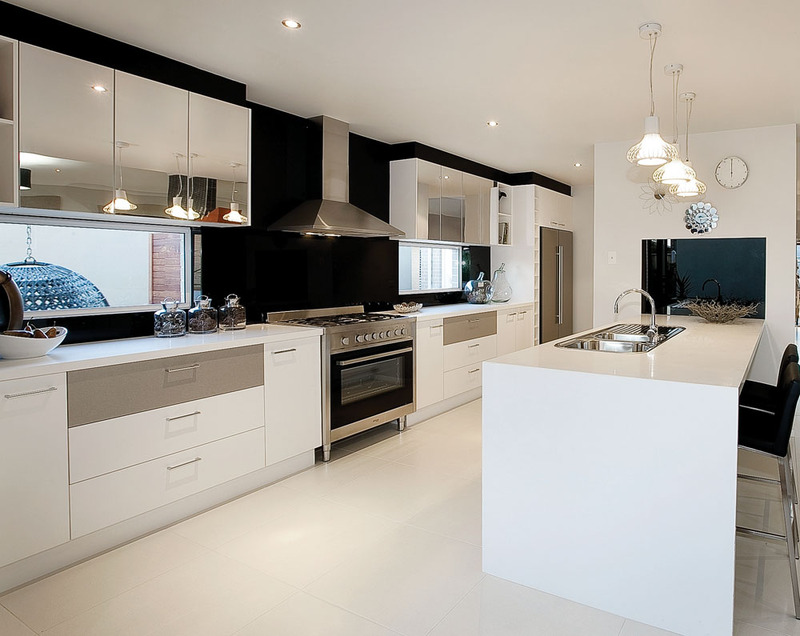 Once you have worked through a plan arrange an appointment with one of our specialised kitchen designers. It is always a good idea to get an opinion from someone that works with it every day. The sketch below indicates the recommended distances between the different stations. Too small may make the area too cramped to work comfortably in, and too big can result in an inefficient work place. Don’t underestimate the depth of any of the refrigerators, the space required to open doors back far enough to remove shelves and the implication of getting into the adjacent cupboards. Zonal design is based on the number of work zones and their interaction to each other when we are preparing and storing food. Cooking is now often a shared activity whereas 20 years ago there was usually only the “housewife” preparing meals. It is very common for 2 or more to be involved in cooking at the same time. There are a lot more appliances used in food preparation and cooking. Our lifestyles have changed and entertaining is a lot more casual, with the “chef” often on display. No longer is the kitchen an isolated room – it is the central focus of the house. 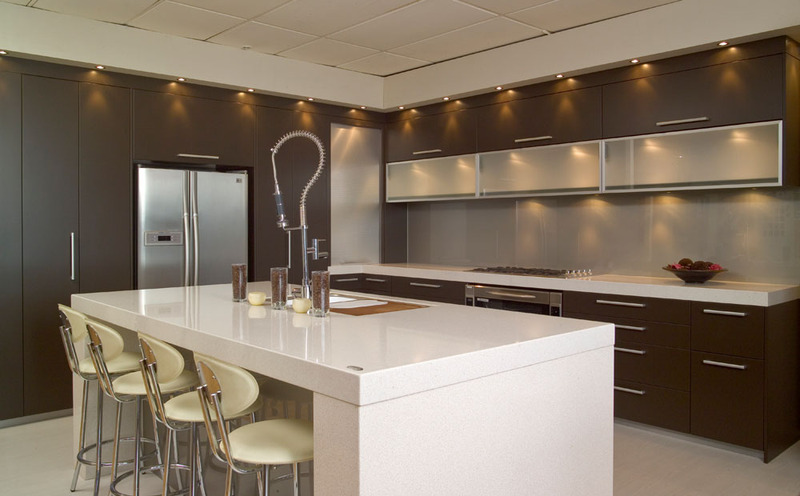 Modern kitchens are designed to fit in with our lifestyles. If it is a new kitchen within an existing house there will be restrictions based on the existing room layout, doors, windows etc. Existing plumbing and electrical locations should be considered as they can sometimes be costly to relocate. 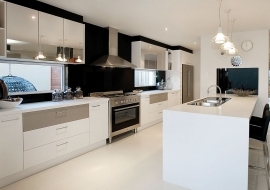 If it is a new house it is easier to incorporate more of your design requirements. This usually occurs where there are two parallel walls that are 2.5 – 3 metres apart. Its effectiveness is dependent upon whether or not it is a thoroughfare and how many people are involved in cooking at the same time. This is a U shape kitchen that usually opens into a family room/dining room. It could have a raised servery. This shape is good in a large room as it allows you to group equipment without traveling long distances between work stations and works well if there will be more than one person cooking at the same time. 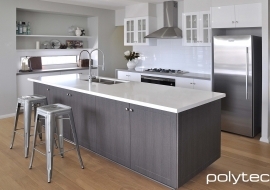 An island will work well with most of the above designs depending upon the additional space you require circulating around it and still allowing for appliances to open etc. It not only allows extra bench space but in the more open planned living areas it provides a social place for guests to be part of the cooking experience. The re-introduction of a scullery is becoming more common in some of the larger kitchens. 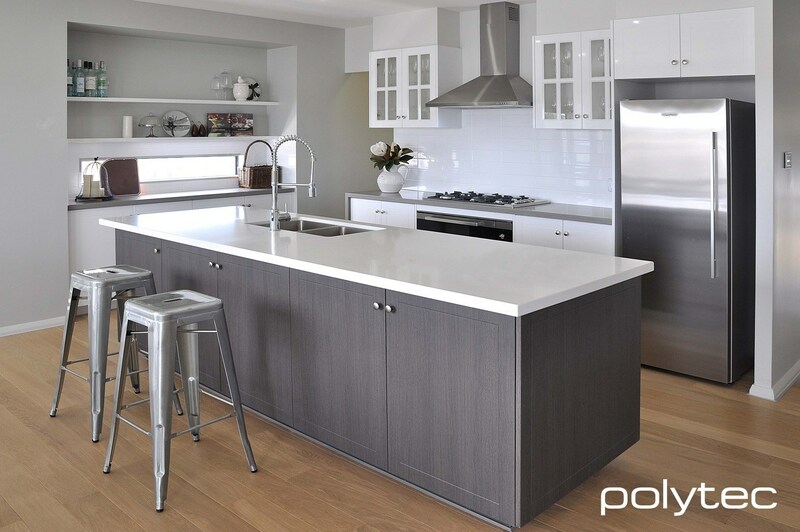 It provides additional space to leave appliances on a bench and also allows for “messy” work areas to be out of the sight of guests. If possible to incorporate a small sink it is very useful as we rinse our hands etc. more often than one would think.